Climate change made headlines in recent months as global leaders converged upon the United Nations Conference on Climate Change, better known as COP21, and emerged triumphantly with a climate deal. Yet for the estimated 400,000 people a year already dying from the effects of climate change, the Paris Agreement comes too late. Far from the comfortable negotiating rooms of Paris, the people in developing countries who bear the brunt of environmental degradation do not have the luxury of time or symbolic agreements. Having an emissions reduction agreement on paper is only the first step; policymakers and leaders must now move decisively to protect the advances in human development and poverty reduction already threatened by environmental degradation and climate change. The 400,000 annual figure comes from the 2012 Climate Vulnerability Monitor, a study commissioned by the governments of the 20 countries most threatened by climate change. Ninety-nine percent of these casualties occur in developing countries, where environmental changes that reduce access to potable water, decrease crop yields, reduce arable land, and increase the prevalence of diseases like malaria, push already fragile communities past the brink. Poor people are more vulnerable to these outcomes because they often live in environmentally susceptible areas - for instance, drought-prone regions of Africa, tropical coastal regions, floodplains, or unstable hillsides. They tend to rely on activities heavily dependent on land and natural resources such as farming or fishing and have fewer mechanisms to deal with environmental shocks. Most vulnerable are poor children, who face a mortality rate of 1,000 per day from climate change-associated symptoms like hunger and communicable disease, according to the 2012 study. Even climate change skeptics will find it hard to deny the visible impacts that environmental degradation has had in some of the world's poorest countries. For example, in Niger, a country where only 12% of the land is arable, 1% is forest, and the remainder is desert, deforestation has resulted in sand and silt being carried down from higher elevations during rains, covering large swaths of formerly fertile land along the Niger River basin. This process compounds the effects of climate change, which has led to reduction in arable land due to desertification. This creates a self-perpetuating cycle whereby a growing population is concentrated in smaller and smaller areas of land, leading to over-farming and further soil degradation. Eighty percent of Niger's population depends on subsistence agriculture. Ranking last on the United Nations Human Development Index and having suffered a recent food security crisis in 2012, the country can ill afford to lose cultivable land to environmental degradation. Yet the criticality of climate and environmental policy to the fate of Niger's people (and the fate of poor countries in similar circumstances) neither draws international headlines nor figures much into the calculus of major developed and emerging countries, who are pivotal in brokering any international climate deal. Policy discussions between world leaders continue to underemphasize the immediate link between climate change, environmental degradation, and poverty. While some donors and development practitioners have slowly shifted to address "climate resilience" as a priority in developing countries, their governments' attention has been slow to follow. Instead, recent political discourse more often pits developed countries and developing countries as opponents, with each side accusing the other of contributing more to climate change and not doing enough to combat it With the Paris Agreement now inked and the moment of self-congratulation over, developed and developing world leaders should move quickly to address the immediate impacts of environmental degradation and climate change by implementing practical sustainable development and climate resilience policies, not just to protect the future, but to save lives in the present. Katherine Tan is a development professional, specializing in private sector development. 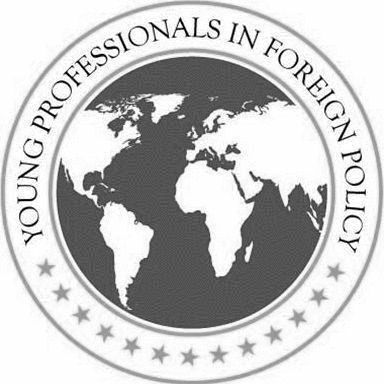 She is an alumna of the YPFP Fellowship program at Young Professionals in Foreign Policy. The views expressed here represent the author's own and not those of any employer.